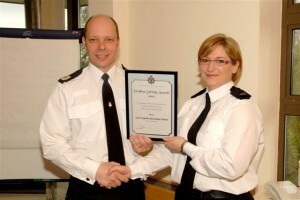 On the anniversary of its first year of operation, Avon and Somerset Constabulary has just announced that Reportmyloss.com has won an award in this years’ Problem Solving Competition. The competition serves to recognise initiatives that bring direct and significant improvements in service to the public. Reportmyloss was introduced by the Force as a quick and effective way to record lost property. It continues to go from strength to strength, with over 70% of the Force’s lost reports being submitted online. The system has helped to reunite thousands of items with their owners and to reduce the numbers of calls to their Force Service Centre. Avon and Somerset Police are asking us all to help beat the burglars this Spring by taking a few easy steps to help protect your home. As the warm weather and longer evenings arrive, more people will be spending time outside or going away for an Easter holiday. This can leave houses easy targets for opportunist burglars who will seize their chance if they spot a window left open, an empty home or a hedge which allows them to work hidden from view. Avon and Somerset suggest that there are some simple steps you can take to protect your house and garden while at home and on holiday. The focus of the preventative measures is on securing garden boundaries and entry points to houses, and ensuring houses look lived in while you are away. If you are going away on holiday try to make sure your house still looks lived in. Cancel milk and newspaper deliveries, make sure there are no valuables on view and invest in some timers which turn on lights when it is dark. While at home remember to make sure garden boundaries are secure with high fences, locked garden gates and security lighting which comes on when people are around. The steps you can take to protect your home are not expensive or time-consuming. They are easy to implement and effective in reducing the risk of becoming a victim of burglary. Look at your home from the street and think about how a burglar may break in – and then take the necessary steps to deny them this opportunity. Thieves will use whatever they can find to help them including ladders, tools which are left lying around and wheelie bins, which can be easily moved and can be used to reach higher windows. The Avon and Somerset Constabulary website has tips on securing your home and I would recommend that people take a look. The effort invested now may save a great deal of inconvenience later on if you are unfortunate enough to become a burglary victim. Many stolen items will be irreplaceable, such as photographs stored on stolen cameras and phone numbers stored on stolen phones. Victims may also have to spend time cancelling stolen bank cards, passports and driving licences, replacing door locks and filling out insurance claim forms. Anyone who feels they would benefit from further advice can speak to a crime prevention officer by calling Avon and Somerset Constabulary on 0845 456 7000.